Americas Best Value Inn and Suites Houston/Brookhollow Northwest offers our guests free wireless Internet access- free local calls- plus every oversized room has a refrigerator- microwave- iron/board- 42 inch flat screen cable TV w/HBO- clock radios- and a writing desk. Sorry-no pets allowed. 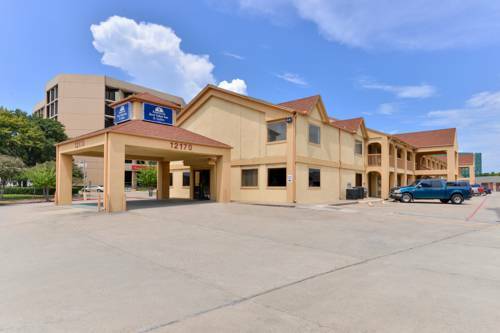 Come visit the Americas Best Value Inn and Suites Houston/Brookhollow Northwest- Texas- conveniently located off Hwy 290/W.43rd Street- near I-45. Our property is located within 10 minutes of downtown Houston. While staying at our Inn- enjoy the free hot continental breakfast including hot waffles served fresh each morning. Fax and copy services plus one meeting facility are available for business travelers. Come stay at our exterior corridor property in one of our 45 charming guest rooms- you won*t be disappointed by all of our extras. Property is located off of Northwest Freeway/ just minutes from I-45.